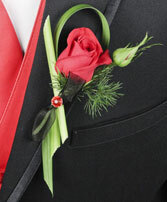 Red Spray Rose Bud, Red Spray Rose Bloom, Lily Grass, Sprig Ming Fern, Red Diamante Pin, Black Sheer Ribbon. 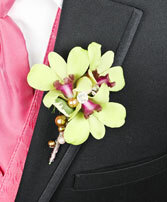 Green Dendrobium Orchid Blossoms, Variegated Pittosporum Leaf, Sprig Of Ming Fern, Assorted Gold Beads, Diamante Pins, Wire Bullion. 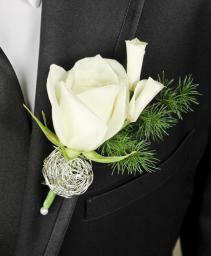 White Rose, White Rose Petals, Sprigs Ming Fern, Silver Decorative Wire, Black Corsage Pin. Red Mini Carnation Blossom, Red Mini Carnation Bud, Green Galax Leaf, Sprigs Lavender Waxflower, Ft Red Satin Ribbon, Ft Silver Sheer Ribbon, Red Rhinestone Spray. 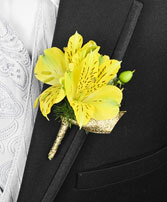 Yellow Alstroemeria Blossoms, Sprig Of Green Hypericum Berries, Sprig Of Ming Fern, Variegated Pittosporum Leaf, Of Gold Sparkle Ribbon. 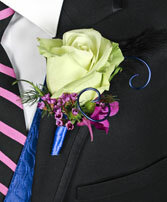 Green Rose, Sprigs Lavender Waxflower, Sprigs Ming Fern, Magenta Or Purple Dendrobium Orchid Bloom, Green Hypericum Berry, Black Feather, Blue Decorative Wire, Blue Satin Ribbon, Black Sheer Ribbon. 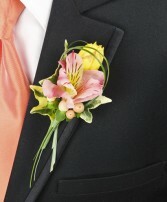 Pink Alstroemeria Blossom, Yellow Spray Rose Bud, Peach Hypericum Berries, Variegated Ivy Leaves, Blades Green Bear Grass, Black Corsage Pin. 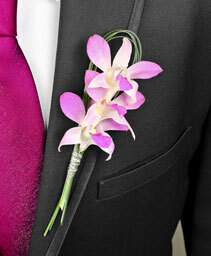 Pink Or Light Lavender Dendrobium Orchid Blossoms, Bear Grass, Silver Bullion, Lavender & White Bullion, Decorative Corsage Pin. Apricot Or Blush Peach Mini Calla, Sprig Peach Hypericum, Variegated Ivy Leaf, Gold Beads, Gold Bullion. 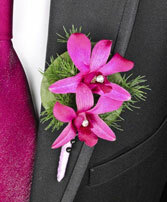 Magenta Or Purple Dendrobium Orchid Blossoms, Galax Leaf I(Manicured)i, Sprigs Ming Fern, Rhinestones, Lavender Offray Ribbon, Black Corsage Pins. Cream Rose, Gold Bead Spray, Lily Grass, Gold Ribbon. 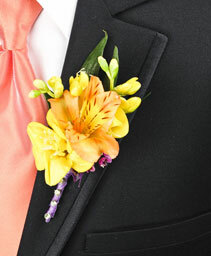 Yellow Freesia, Tip Yellow Freesia, Orange Alstroemeria Blossom, Sprig Lavender Waxflower, Italian Ruscus Leaves, Rhinestones, Lavender Sheer Ribbon, Black Corsage Pin. 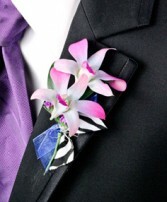 White Dendrobium Orchid Blooms, Leaves Dusty Miller, Rhinestone, Ft Aqua Sheer Ribbon, Ft Aqua & White Giraffe Print Ribbon. 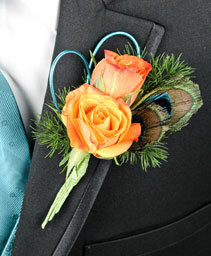 Orange Spray Rose Blossoms, Small Peacock Feathers, Turquoise Decorative Wire, Sprigs Of Ming Fern. Lavender Dendrobium Orchid Blooms, Sprig Purple Statice, Italian Ruscus Leaves, Sheer Blue Ribbon, Zebra Print Ribbon. 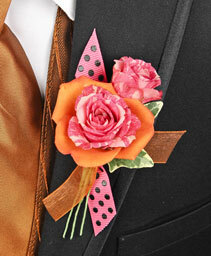 Variegated Pink Rose Blooms, Ivy Leaf, Hot Pink Polka Dot Ribbon, Sheer Orange Ribbon, Black Wire, Orange Rose Petals. Yellow Freesia, Italian Ruscus Leaf, Variegated Ivy Leaf, Sprig Of Ming Fern, Green Hypericum Berries, Gold Sparkle Ribbon. 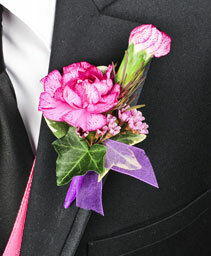 Purple Mini Carnation Bloom, Purple Mini Carnation Bud, Sprig Of Lavender Waxflower, Ivy Leaves, Leaves Variegated Pittosporum, Sheer Purple Ribbon, Purple Corsage Pin. 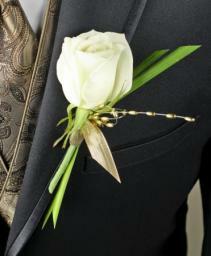 White Mini Calla, Variegated Liriope, Gold Decorative Wire, Black Corsage Pin. 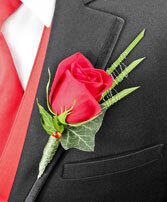 Red Rose, Ivy Leaf, Silver Bullion, Bear Grass, Red Rhinestone. 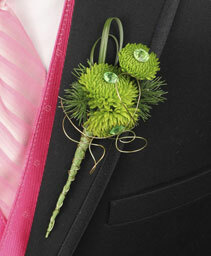 Lime Green Kermit Button Pom Blooms, Sprigs Of Ming Fern, Of Bear Grass, Gold Decorative Wire, Lime Green Diamante Pins. Don't forget the boutonniere! Sure, prom season is overwhelmed with all-things girl, but it's a big night for guys as well. 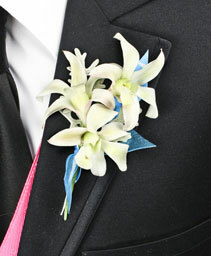 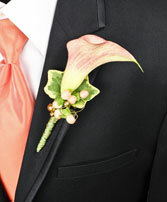 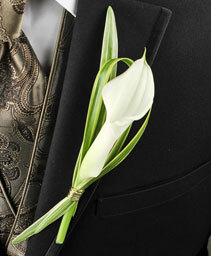 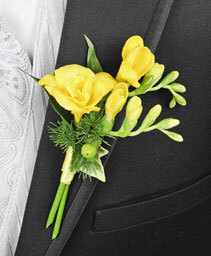 FLORAL DEPOT AND GIFT SHOP in Cooper can help you choose the right flower boutonniere for your special date. No matter what you're style or budget, we can help!